Nice photo of a green woodpecker. Photo taken by the father of a friend. I have a friend in Austria, we sometimes chat through the gaming platform Steam as we both are interested in PC games, but that’s not the only topic we talk about. Today, she told me that her father took a photo of a green woodpecker, and she asked me if I would like to show the photo on my blog, as she knows that I like to post a lot of animal photos, and also bird photos since some time. I like the photo, and I am happy that I am allowed to share the photo as I never took a photo of a green woodpecker. I was happy with the photo, but I applied some of the common changes I often do, like cropping the image a bit, editing the exposure value and so. I bet you love the photo too, it’s a great shot and the bird is very beautiful. 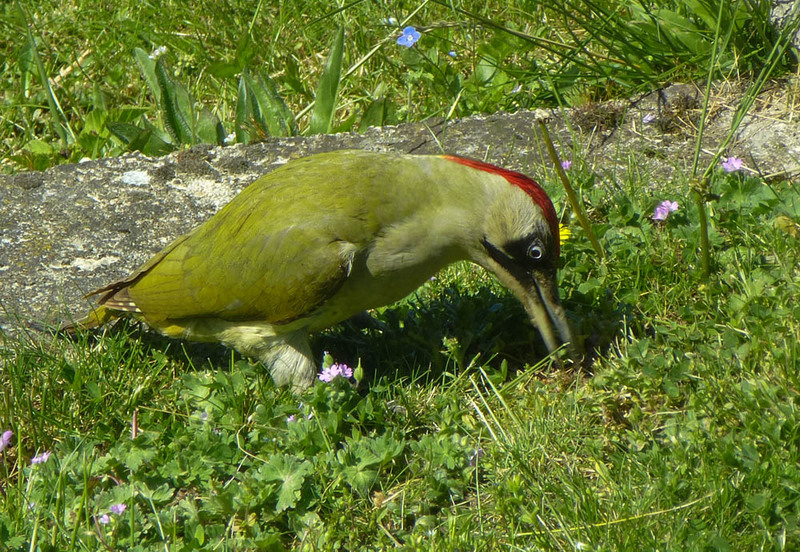 I never saw a green woodpecker before. I don’t think we have any native green birds in the continental U.S. although, here in Florida, I see many wild Quaker Parotts and Nanday Conures but they are not native. Good picture! Never seen a green woodpecker before. I am glad that a friend allowed me to share the photo on my blog. I saw them a couple of times in real, but Great Spotted Woodpeckers are much more common than the green ones. I barely find Green Woodpeckers, at least it never happened when I had my camera with me.